Now that November is here, it seems everything has instantly turned into holiday overload. Since I am the type to always shop last minute for gifts, this year I am planning ahead. Over the next couple of weeks I will be posting gifts ideas for you guys to help you on your shopping journey. I find these to be super helpful when looking for gifts for certain people. 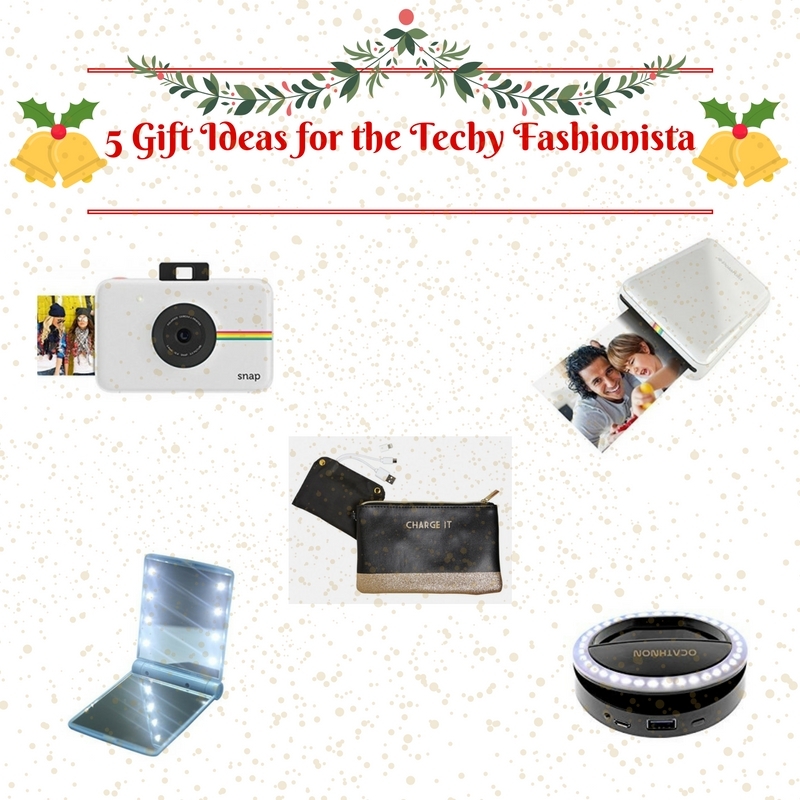 Today's list is for the techy fashionista in your life, the one who loves taking selfies, making sure her makeup is on point and capturing her perfect #ootd. 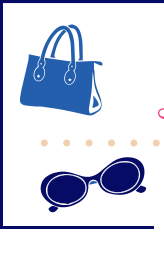 I am definitely one of these girls and would love any of these cool gadgets for a holiday gift. With everything being so digital nowadays, we have totally forgotten about having actual pictures. Polaroid is still making their fun instant cameras with a more modern twist to it. 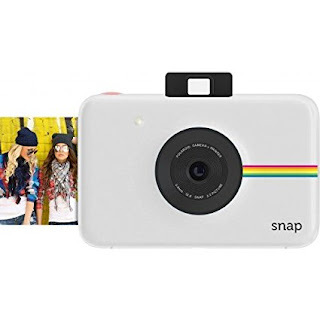 This fun and adorable camera packs a punch and is great for the fashionista on the go. It's travel friendly and fits into your pocket or purse with ease. Awesome for upcoming holiday parties to capture all the fun moments and have a keepsake from it. Check out these specs! 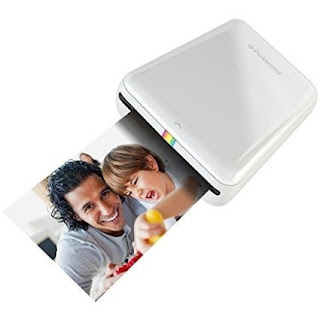 If your fashionista already has a camera or just uses their phone to take pictures, then this Polaroid ZIP Instant Photoprinter is a great gift. I actually own this and love it. Print anywhere with this pocket-sized device. It pairs wirelessly to any smartphone or tablet via Bluetooth 4.0 or NFC and uses a dedicated mobile app available for iOS or Android, allowing you to instantly edit and print 2x3” full-color photos. This is great for people who love to create vision boards as well, the photo paper actually peels off to reveal an adhesive backing, so you can stick your picture anywhere you want! Check out the specs! Now if you're a fashionista, then you know lighting is everything to capture the perfect selfie. Unfortunately this isn't always available to us, so why not carry with your own lighting. The Selfie Ring Light is an awesome gadget that you clip on to any phone to give you the perfect lighting anywhere! Check out the specs! 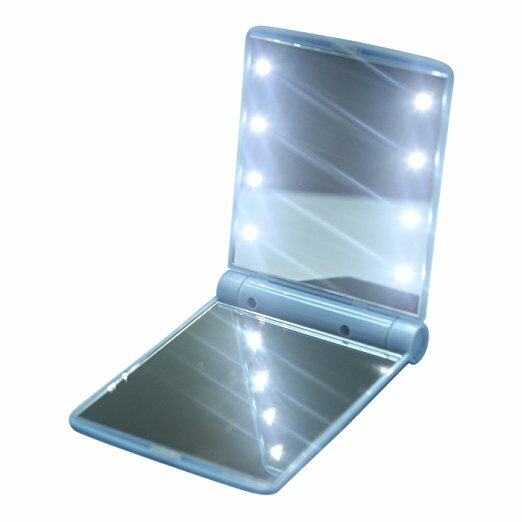 New Generation Selfie ring Light---Mini Size, Powder Box Shaped, light weight design, Only weighs 65 grams, fits easily into any pocket or bag, you can take it wherever you go. 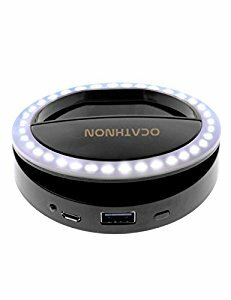 wherever you are, it offers convenience, not matter as a power bank or a LED light for take a photo/video or illumination. Powerful 36 LED Light bulbs with 3 Levels of Brightness- Simply clip this fill light to your device and turn on a single button on the top for 3 levels of brightness. Support front and back camera shooting, reaching natural light effect. Post high quality pictures or videos for your Facebook, Instagram, Snapchat, Pinterest and Fashion & Beauty Bloggers. It also can be a flashlight in a dark place or at night. Universal Fill light and Emergency charger for Phone-Compatible with most Smart Phones/Tablets- iPhone 6s / 6s Plus / 6 /6 Plus / 5s / 5c / 5 / 4s / 4, Samsung Galaxy Series like Galaxy S6, S6 Edge Plus, Note 5, LG Phones, Moto, Blackberry, HTC, Sony and iPad even MacBooks. I don't know about you but I never have enough time to put on my makeup in the morning. 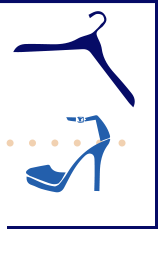 Sometimes that fashionista finds herself having to finish it off on the train to work or otherwise. This Light up compact mirror is awesome, it gives you the perfect light needed to beat that face, all on the go. Small enough to pop in to any bag and for the price, why not pick up a few for gifts! Check out the specs! When you're on the go and need that quick make-up application before your big meeting or after a pre-work trip to the gym, this folding pocket mirror makes the perfect make-up accessory. When you're a fashionista, you can't have your phone dying so instead of carrying around a bulky portable charger, why not get the best of both worlds? 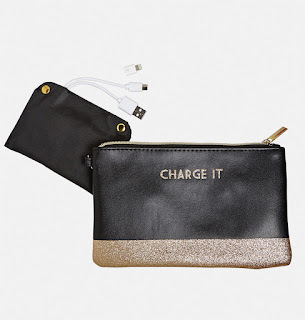 This adorable wristlet with built in charger is pure genius and a total must have for ANY fashionista. Check out the specs! Rechargeable battery pack with USB, micro USB, and iPhone cords. Works with Android, iPhone or Windows phone. Styles include statement quotes with gold glitter detail; or floral embossed all over. Statements include: "Charge it"; "Too posh to care"; "Just smile". Well there you have it guys, all these gifts would be any techy fashionista in your life.I am actually going to be buying some of these for gifts as well. 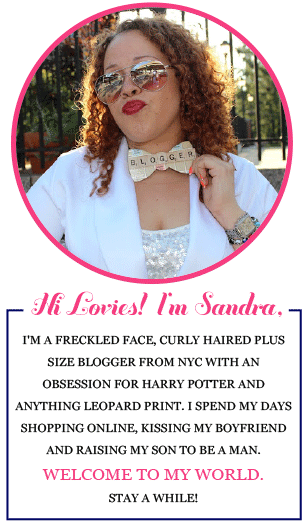 Stay tuned to the blog for more gift idea round ups for the holiday. If you have any suggestions for gift ideas that you'd like me to do, feel free to comment below.